Government will from tomorrow avail buses that will charge $1 per trip between residential suburbs and the Central Business District in Harare as it steps in to offer relief to commuters. Those from Chitungwiza and Norton will be charged $1.50 and $2 per trip respectively. The move, which also targets other towns and cities, is part of a broader plan to review the urban mass transport system. 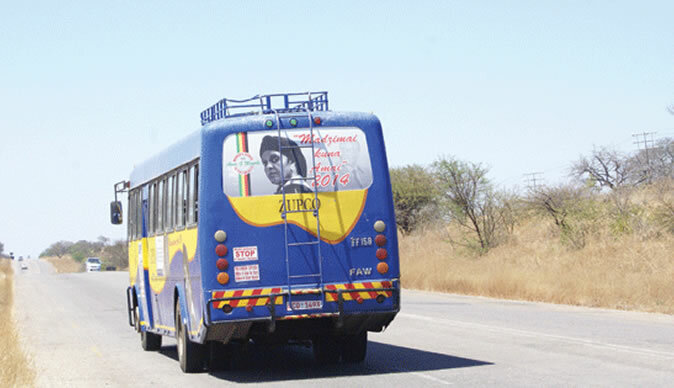 The Zimbabwe United Passenger Company (ZUPCO) will coordinate the new transport system after it was urgently tasked to manage a fleet of buses that will cover all suburbs in Harare, and will also extend to other towns and cities. Briefing journalists in Harare yesterday, Information, Publicity and Broadcasting Services Minister Monica Mutsvangwa said the new system will enable passengers to use various forms of payment including cash and plastic money. "Over the past few weeks, transport fares had risen beyond the affordability of the commuting public," she said. "They were paying as much as $5 for suburbs within Harare. In line with the Transitional Stabilisation Programme's thrust to modernise the entire national transport system in the country, starting from Monday 21 January 2019 at 5 am, Government, through the Zimbabwe United Passenger Company (ZUPCO), is launching an urban mass transport system to complement the existing commuting system." Minister Mutsvangwa said the move was part of Government's long term plan to modernise the entire mass public transport system. "The modernisation of the mass public transport system will ensure low-cost, efficient and professional service to the commuting public as well as reduce the country's fuel costs and decongest the Central Business Districts as buses carry more people compared to smaller forms of transportation. "Government is working on further plans to modernise our whole national transport system at rates affordable to the ordinary persons," she said. "Government assures the public that more buses will be procured and other provinces will be included in the mass bus transport project." The latest move will see the buses complementing commuter omnibuses whose operators have been accused of abusing their monopoly in urban commuting by overcharging passengers and engaging touts who harass commuters. "There are sufficient buses to ensure that the public can travel to work and to schools on Monday," he said. Minister Mutsvangwa also revealed that the fuel supply was normalising with the commodity now available at most service stations after distribution was affected by last week's riots. "With regards to the fuel issue, Government would like to inform the public that the situation is slowly normalising," she said. "Government has put in place a facility that will ensure that adequate fuel is available to the motoring public. "The only minor challenge is logistical. Fuel trucks were disrupted by the violent disturbances of last week, hence, could not ferry fuel to service stations. "To expedite fuel delivery, Government has allowed fuel trucks to move even during the night making deliveries." Minister Mutsvangwa advised those with fuel coupons to hold onto them as talks were underway between Government and players in the petroleum sector to review the discounting of the vouchers. "On the issue of fuel coupons purchased prior to the latest fuel price review, whose face value is being discounted by 60 percent, resulting in a 20 litre coupon valued at 8 litres, the Ministry of Finance and Economic Development is engaging the concerned fuel companies to expeditiously address the issue." She implored Zimbabweans to freely conduct their day-to-day activities without hindrance as the security situation has normalised. "We are pleased to note that the security situation has normalised and all peace loving Zimbabweans are freely conducting their day-to-day activities without hindrance. "To our diplomatic community, tourists, investors and all our other guests in the country, Government would like to assure you that the peace that Zimbabwe is known for is prevailing throughout the country."